The gold standard in physical assessment has now been adapted exclusively for the needs of the RN-student. 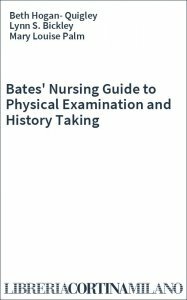 Based on the award-winning "Bates' Guide to Physical Examination & History Taking", this new text combines the renowned features of the class Bates' with an RN-focus. Trusted and time-perfected content including superior assessment techniques, vibrant visuals, and the classic Bates' two-column format delivers assessment information in a comprehensive and student-friendly package. This new, RN-specific text contains some new, additional nursing-specific chapters: Introduction to Health Assessment, Cultural and Spiritual Assessment, Nutrition, and Putting It All Together. In addition, structure and function information is streamlined, health history is symptom and interview-focused, nursing documentation examples are included, data analysis is covered in end-of-chapter summary sections, health promotion is streamlined with a focus on follow-up and teaching at the end of the chapters. 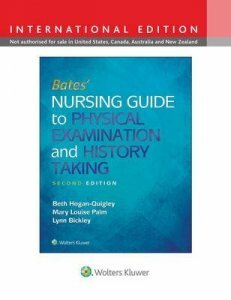 The text is accompanied by a Lab Manual that incorporates nursing-specific case studies to reinforce content from a nursing perspective. 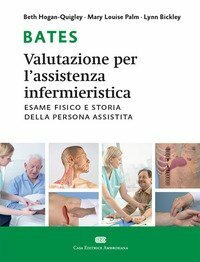 This text can also be packaged with the Bates for Nursing Online course for a complete nursing assessment solution.